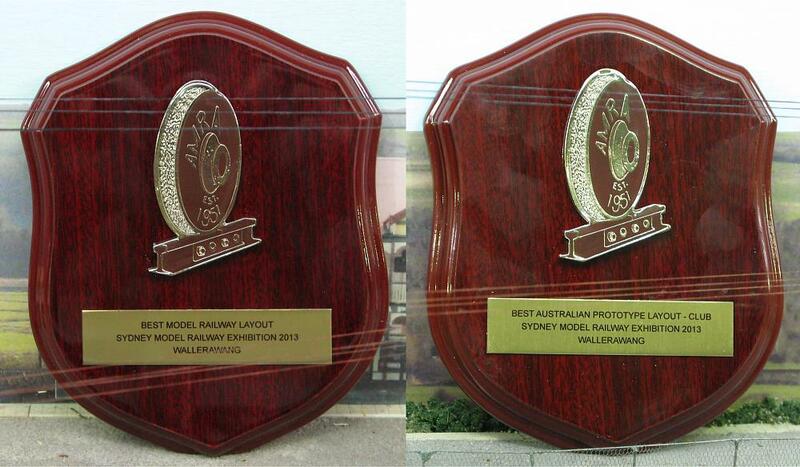 Guildford Model Railway Group thanks the judges for awarding our exhibition layout Wallerawang the 'Best Model Railway Layout' and 'Best Australian Prototype Layout by a Club' at the 2013 Sydney Model Railway Exhibition. This is the final update for Wallerawang as all of our planned projects for this layout have been completed. Over the course of the year we have discussed and planned our next layout, have visited the location, and have started in the construction of buildings and modules. A new series of updates will commence to show progress on this new exhibition layout, based on a station on the Main South line. Wallerawang will still be on exhibition throughout 2014. We thank all the visitors who have been following these updates, and hope you will enjoy reading about and seeing the construction of our new layout.